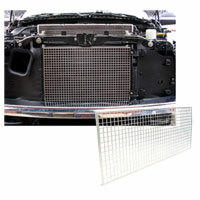 Installation of a Condenser Guard on the '13-'18 trucks requires the truck's grille to be removed. Instructions are included detailing the installation process. While you have the grille removed, you might want to add our Quick Grille Release Kit so future grille removal is quick and easy. 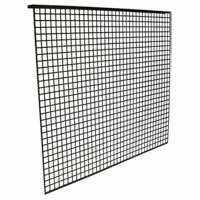 Includes 24" x 24" nylon mesh bug screen. 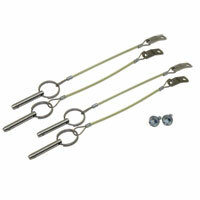 Take a look at the Quick Grille Release Kit below. Our Quick Grille Release Kit makes gaining access to the A/C condenser area of the '10-'18 Dodge Ram trucks much easier after it is installed. Unlike the '89-'09 Dodge Ram trucks where the front grille is attached to the hood, the grille on the '10-'18 Dodge Ram trucks is attached to the front core support. 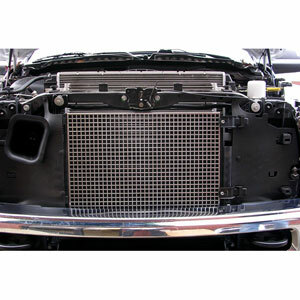 This has made getting access to the condenser area a lot more difficult as the grille has to be removed to do this.